Our Parthenon Obelisk Award is an executive-style symbol of ultimate achievement. It features decorative border cuts and a distinctive notched base and is made of shimmering optical crystal. 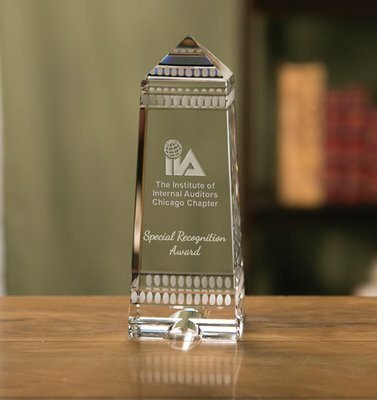 This stately award creates a bold impression. It comes in three sizes for recognizing degrees of achievement.